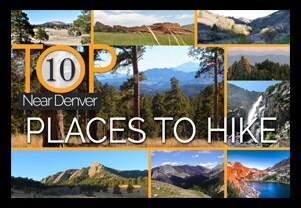 This is a full list of the 145+ hikes on Dayhikes Near Denver. Click on the column arrows to sort by mileage, difficulty, or approximate drive-time from Denver. All mileage is approximate and many trails have options to make a hike longer, so mileage will vary depending on the route hikers choose to take. Always check maps to verify and plan your trip. Every hike title links to the the full trail profile with more detailed information: elevation gain, tips, maps, and whether or not dogs are allowed on that particular trail or in that park. Drive times are also approximate, but each trail profile provides a Google map for you to use to determine the exact distance to the trailhead from your location. It’s important to know that difficulty levels will vary by person. 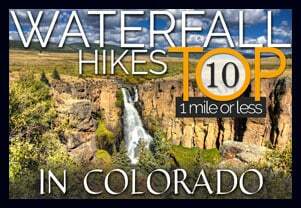 An easy hike for those who are in great shape and acclimatized to higher altitudes may be a very difficult hike for someone who is traveling to Colorado from out-of-state. 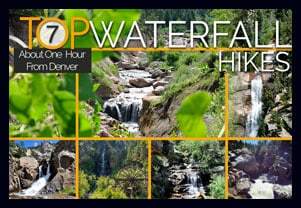 Some hikes have a range of difficulty, depending on what segments you may choose to hike. Also, remember that nature changes the landscape, and trail damage can occur overnight–even in a matter of moments–when under extreme circumstances, changing the difficulty level of any hike. See our Hikes by Difficulty Level page for the criterial we use to classify a hike as easy, moderate, or difficulty. Note: All mileage is round trip.